“Whaaaat, the next update’s already here? Are you sick, Natsu?” …fortunately, I’m perfectly fine. But today is December 1st, the start of the festive month… and the first opportunity to open one of the 24 doors on your advent calendar~! Every year around this time, I’m thinking how nice it would be to have a Prismanga advent calendar with 24 little artworks. But I’m either too busy or remember too late, so I never get anything done in time. 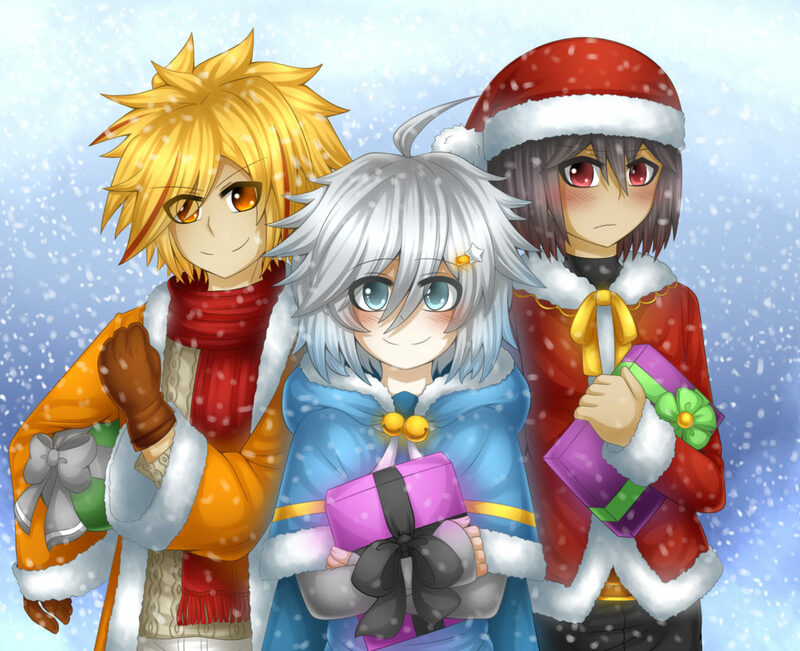 This year, I’ve been very busy with Hyoukyo Traitor, GENBA and catching up on things too, but I still wanted to give the advent calendar a try – but I kept it an absolute secret in case I wouldn’t be able to finish anything ;;; Plus, doing 24 artworks on the side would’ve been way too much with everything that was going on, so I decided to make a “Lite” version with only half the amount of artworks. Oh, but… we don’t have a proper advent calendar cover with doors. So I decided to finish the artwork I did for the new HQ avatar real quick (in two nights, oof) and use it as the advent calendar starting signal! Here’s the big version~! I’ve made pretty good progress on my Year End To-Do List so far – in fact, I’m under 60 tasks (from the original 120) now since I finished the above artwork! 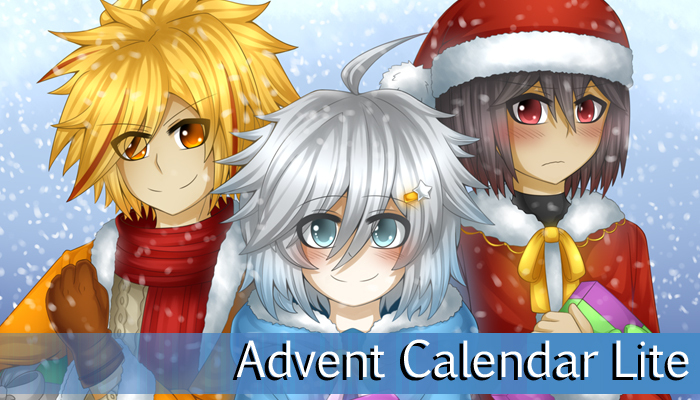 I definitely plan to keep this up, but finishing the remaining advent calendar artworks goes first. The rest of the month will be my Experimental December, meaning that I’ll try out a few things I’ve wanted to do for a long time. Like that series of video tutorials on how to make a platformer in GMS2, or a different tutorial series about RPG Maker MV I recently found. I’d also like to take another look at the charsets I did earlier this year and finally try and make another version with more realistic proportions. 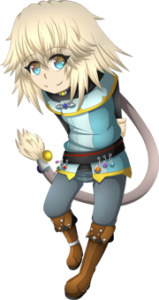 As much as I like the cute chibi ones I already have, I feel like it might benefit the Complicated Project if I could manage to make the charsets look a bit more “serious”. All of this is pretty much in preparation for 2019, because I reeeeaaaally need to get a move on with things… provided I don’t get in a random slump again and there’s another three months of radio silence. I really hate it when that happens. I’m not even depressed – I don’t think I ever truly had depression in my life – but sometimes I focus so much on behind-the-scenes stuff or get insanely distracted that I neglect updating the page forever ;;; And sometimes I just want to take a little break from social media and stuff, but… the break never stops somehow?? Speaking of breaks, I might take a day off each week from January onward, because I never really get to play anymore nowadays and my backlog only gets bigger. Besides, recharging and getting inspiration is great~! Alright then, I guess that’s it for now. I won’t make a new posting for every single advent calendar artwork, so please keep an eye on Twitter if you’re interested in seeing them! Or just wait for the general summary posting I’ll do in a week or two.